Ananda is Chief Executive Officer at MPE. She joined the team in March 2013. She holds a law degree from the University of Barcelona and a master’s degree in Health Policy, Planning and Financing from the London School of Economics and Political Science and the London School of Hygiene and Tropical Medicine. Her main field of interest is cross border healthcare within the EU and health data protection. She started getting involved in patient advocacy in 2007. Since then she has collaborated with a number of patient organisations across Europe. She has worked at the leading Institute of Public Law (IDP Barcelona) and the European Commission (DG Health and Consumers). 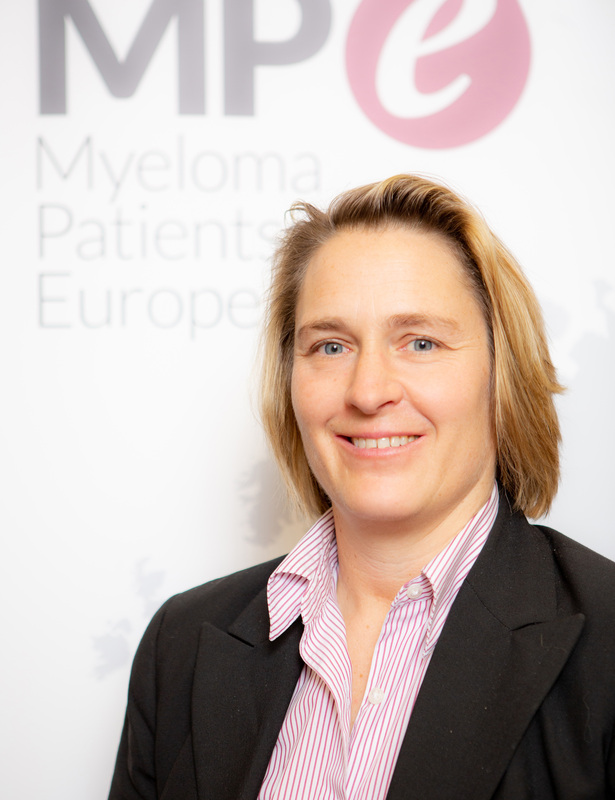 Currently she is also Chair of the Workgroup of European Cancer Patient Advocacy Networks (WECAN) and a member of the Ethics Committee at the Chamber of Physicians of Bavaria, Germany. She speaks Spanish, German, English, Catalan and French. 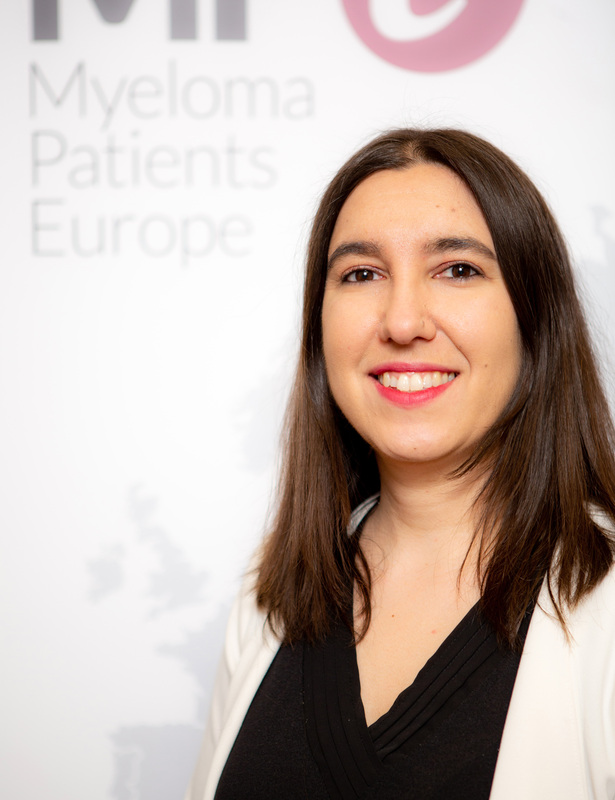 Ana joined the MPE team as Communications Manager in September 2016. She holds a bachelor’s degree in journalism from the Complutense University of Madrid and a Master’s degree in Audiovisual Communication from the University Antonio de Nebrija in Madrid. Ana worked as a journalist on weekly newspapers specialising in health and on consumer health monthly magazines. She has been involved in different patient advocacy groups, first as a volunteer and later on within the communication department. Since 2014, Ana worked as PR and press consultant in the health department of an international PR agency developing communication strategies for the main pharmaceutical companies. Ana has been involved in producing two books focused on patients with cancer as a co-writer and editorial co-ordinator. She speaks Spanish and English. Kate is Policy and Public Affairs Manager at MPE. She joined the team in September 2017. She holds a Bachelor’s degree in Government from the London School of Economics and Political Sciences and a Master’s degree in International and European Politics from the University of Edinburgh. She also holds a Diploma in Public Relations from the Chartered Institute for Public Relations. Her main area of interest is health policy, with a specific focus on policies affecting drug development and access in European countries. 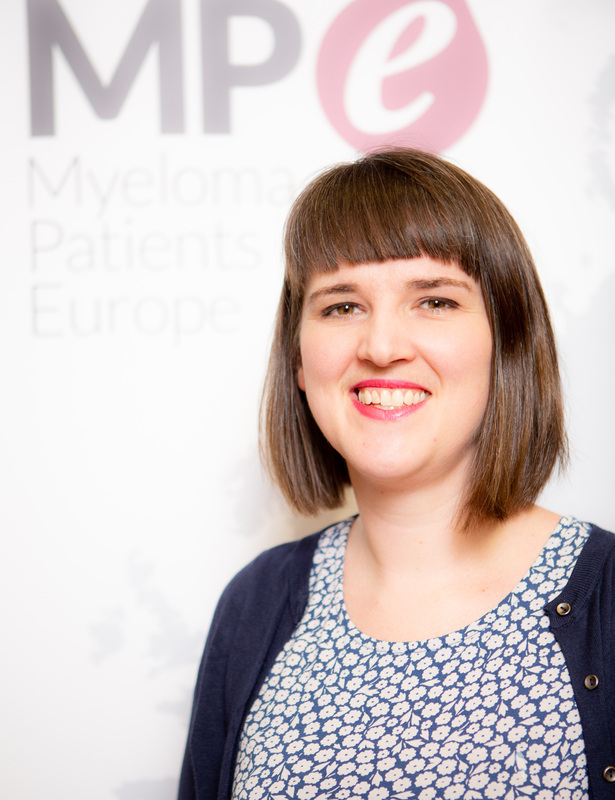 Kate previously worked for eight years in the Policy Team at Myeloma UK, where she was involved in influencing a range of policy and reimbursement decisions affecting myeloma patient access to good quality care and effective new drugs. She was involved in a number of patient and public advisory panels in the UK healthcare system, including for the Scottish Medicines Consortium, the drug approval body in Scotland. 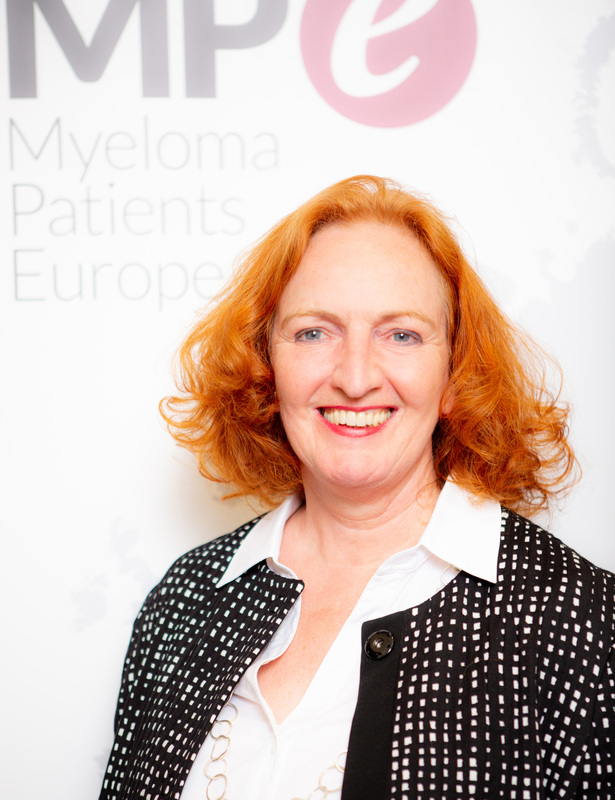 She been involved in a wide-range of patient organisation networks, both nationally and internationally – most recently chairing the Blood Cancers Alliance, an information-sharing network of haematological cancer charities in the UK. Kate currently lives and works in Edinburgh, Scotland. 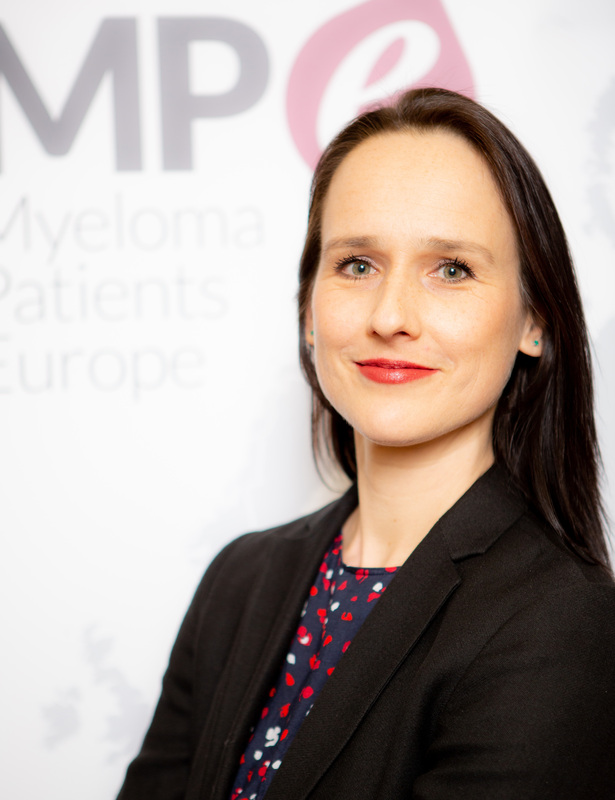 Nicole joined MPE in March 2019 as Patient Advocacy Programme Manager. She holds a Bachelor of Science with specialization in Psychology from the University of Alberta and an Master of Science in Communication, Management and Health from the Unviersità della Svizzera italiana. Her main fields of interest include public health, patient empowerment and equitable healthcare access. Nicole has experience in health policy and communications research and health promotion programme evaluation in the areas of vaccination, tobacco control and addictions and mental health. Prior to working for MPE, she worked in Patient Advocacy in the pharmaceutical industry, driving capability building activities and initiatives to embed patient voice in pharmaceutical research and development. Nicole is from Edmonton, Canada and has been living in Switzerland for over 8 years. She speaks English, French and German and is currently based in Zermatt, Switzerland. Ingrid joined the MPE team as Finance and Reporting Officer in August 2018. She holds a degree from the advanced technical college in Ulm, Germany, and has an apprenticeship as an electrical engineering assistant. Ingrid has broad experience in large, medium-sized and start-up companies. She worked as referent and assistant to Executive Boards. In this role she was responsible, for board-, management- and finance-reporting and controlling. She has proficient expertise in project and programme management and implementation of administrative processes as well as in marketing and public relations. In the health area she worked for the Innovative Medicines Initiative (IMI) project EUPATI. The European Patients’ Academy. This is a pan-European project implemented as a public-private partnership by a collaborative multi-stakeholder consortium from the pharmaceutical industry, academia, not-for-profit, and patient organisations. As Finance and Reporting Officer she supported the EUPATI Director in preparing reports for IMI and the international consortium members. Financial monitoring, control and analysis were part of her responsibility. Ingrid is based in Munich, Germany. 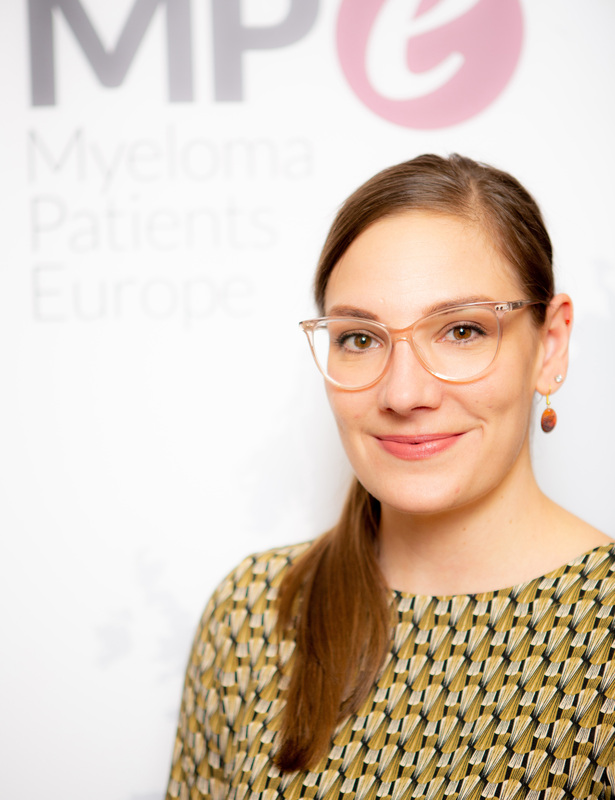 Michaela joined the MPE team in September 2018 to manage the AGM Secretariat. She holds a diploma in Business Studies and has been working in the cancer patient advocacy field for the last 13 years. She has a strong business (communication/marketing, organization development and IT) background and worked for Bertelsmann (e-business sector) prior to providing project management to patient organisations like the European Cancer Patient Coalition, Sarcoma Patients EuroNet, Leukaemie Patient Advocates Foundation/CML Advocates Network, Das Lebenshaus and others. Networking and bringing the right people together has always been a big motivator for her and she is in her element when organizing meetings and projects. She started getting involved in patient advocacy in 2001, first on a voluntary basis and since 2005 also on a professional basis. 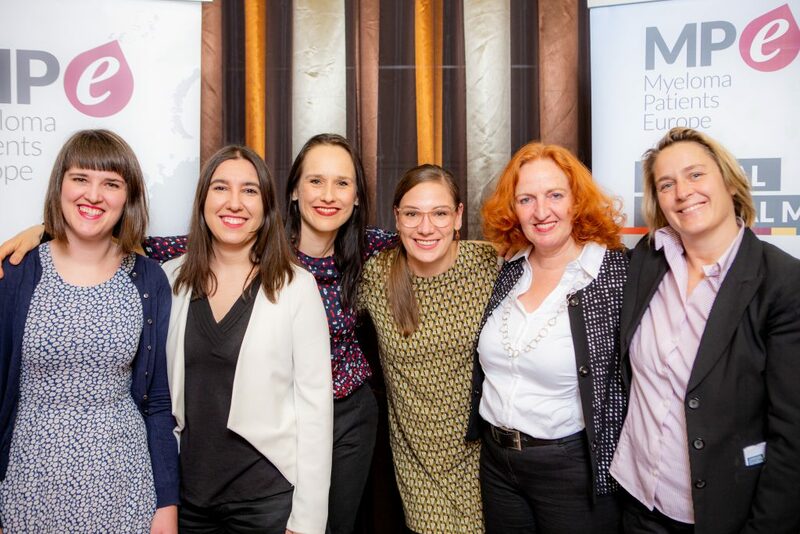 Since then she has collaborated with a number of patient organizations across Europe and supported them in the development and implementation of patient summits, conferences, Community Advisory Board meetings, Annual General Meetings, and Steering committee meetings. Michaela speakes English and German and is based in Munich, Germany.